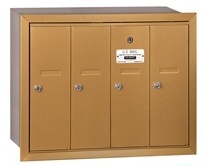 Vertical mailboxes come in a wide array of styles and colors. Below is a small example of the styles and colors we carry. To see our full selection, stop by our store. 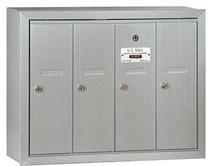 To make expanding your units easier, vertical mailboxes come with a slotted door option for outgoing mail. You simply replace a regular door with slotted door for expansion ease.